If you’ve been searching for the best free WordPress plugins for a travel blog, then you’ve come to the right place. After you’ve chosen a travel blog name and learned how to start a travel blog, you’ll then want to customize it and make it your own. For those of us who don’t have any website design or development background, WordPress plugins are the way to do this. They will help both the look and the functionality of your website. Think of your new blog as an empty house with no art or decor to spruce it up. You’re no artist, so if you were to start trying to create paintings for the walls, or mold some new pottery for the shelves, it would become a mess pretty quickly and nobody would want to come over! Installing WordPress plugins on your blog is like decorating it with free paintings and decorations that have been pre-made by professionals. They work well, they match your design and they’re easy to implement. But just like a house, you can quickly over clutter your blog with too many plugins, so be careful and make sure you keep them to a minimum and only download and keep the ones you really need. 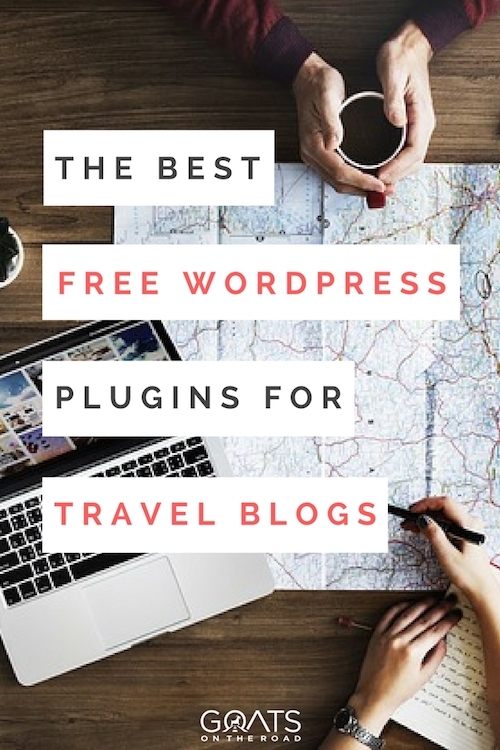 In this article I’m going to list the top 10 free WordPress plugins for travel blogs. These free plugins are 10 that every single travel blog should have (plus another 6 bonus plugins). Some of them are specific to only travel blogs, but most of them are vital for any new blog, so even if you’re a food blogger or a mommy blogger, these plugins could help you grow your blog faster and more efficiently. These plugins have all been approved by our developer and our SEO team to ensure that they’re not too heavy for your site and should not noticeably hinder your existing speed rating or Google traffic. It may be a good idea to backup your database and run a speed test on your site before and after any new plugins are added to make sure they’re not affecting your load times. Interactive maps are a great way for travel blogs to show countries that they’ve travelled to and where they have content about. These maps have clickable regions or countries to bring people to specific categories on your site. Goats On The Road uses the paid Interactive Maps Plugin ($21) because it’s more intuitive and has more features and map options than HTML5, but for a free plugin, you can’t beat HTML5 Maps. They won’t give you all of the maps without upgrading to premium, but at least you’ll be able to embed a sleek looking map on your destinations page to get started. It’s worth noting that these maps can load slowly depending on your caching system and hosting plan. If you find that they’re loading slowly, it may not be worth it to have this plugin on your travel blog. One of the most important factors of growing any new blog is to make sure that your website has a solid SEO (Search Engine Optimization) foundation. This is going to help your site rank in search results like Google and thus, drive traffic to your site. At the time of writing, Goats On The Road receives over 75% of its traffic from direct organic Google searches. That shows just how important it is to keep search engines and SEO on your mind while building a new site. Yoast SEO is a free plugin that allows you to not only optimize your site map and readability of your blog, but also optimize your on page SEO directly from the Edit Post screen in WordPress. If you have Yoast, then after you’re done writing a post you can scroll to the bottom of the page and check the SEO health of your post before publishing. Yoast tells you how good your SEO is with a handy green, yellow or red light and gives you dozens of tips on how to add to the post to give it an SEO boost. The plugin will count your keywords, check readability, allow you to edit your metadata, check for optimal length and more. No blog should be running on WordPress without this handy, free plugin. This is my favourite plugin that you won’t find on other “Best WordPress Plugins” lists. That’s simply because not that many people know about it. SEO Smart Links allows you to automatically add internal and external links to your blog by simply choosing which words to auto-link. For example, let’s say you just wrote an amazing post about budget travel and you want to drive traffic to it. With the SEO Smart Links plugin, you can easily set it so that any time the words “budget travel” appear on any page, post or category on your site, it will automatically link to your budget travel guide. I love this plugin for travel blogs because you can go in and add the keyword for every city, region, country and continent on your blog and auto link them to appropriate posts / pages. The plugin also allows you to auto-link all of your categories using the slug as a keyword, which is perfect for travel blogs as most have continents and country names as their categories. Similarly, you can also link outward using the same tactic. If you have a great affiliate for Booking.com, you can set SEO Smart Links to automatically link the words Booking.com (the plugin is in action now, automatically linking that term for me), or any time you type “book a hotel room” it can link to your affiliate as well. You can even set it to make all external links from the plugin “nofollow”. Do you have a favourite travel camera that you always talk about on your blog? Make it so that every time you type Canon G7x into your blog, it automatically links to your Amazon affiliate for that product! This plugin is amazing and it’s definitely one of my favourites. Finding Some Of These Plugins Useful? Share This Post & Pay It Forward! It’s extremely important that you publish articles on a strict schedule on your blog. Just like a newspaper or your favourite TV episode, everyone wants to know exactly when they can expect new content. Google also rewards websites for being predictable because they know that users want to receive their content on a predictable time frame. WP Editorial Calendar is the perfect plugin for organizing your posting schedule and seeing what’s next. The plugin shows an easy to use, drag and drop calendar. All of your draft posts appear on the right side of the screen and you can simply drag-and-drop the titles onto the day in the calendar that you want it to publish. You can set the time of publishing and schedule it right from the plugin! Any new blogger who’s trying to follow our 6 Day Success Schedule To Explode Your Website Traffic should definitely use this plugin. It will help you organize your posts and make sure that you are giving your readers their content when they expect it. Pretty cool hey? There are literally dozens of different shortcodes that you can choose from to create different bits of content on your site like tables, carousels, styled boxes, galleries, drop downs, accordions, buttons and more. I use this plugin all over Goats On The Road and it helps me create content that I would otherwise need to hire our developer for. Just look at all of the options! 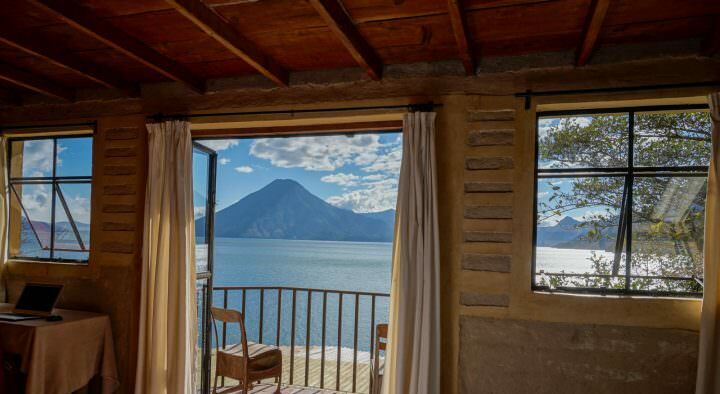 WP Hide Post is a great free WordPress plugin for travel bloggers, because we create a lot of content that doesn’t need to be seen by all of our readers. Maybe an advertiser has paid you to publish a post, but doesn’t care about the placement of it and only really wants the link. Or maybe you’ve written an article simply for the purpose of SEO, but it’s not something all readers need to see. With this plugin, you can simply hide the post from your audience by ticking a few boxes in the edit post screen. 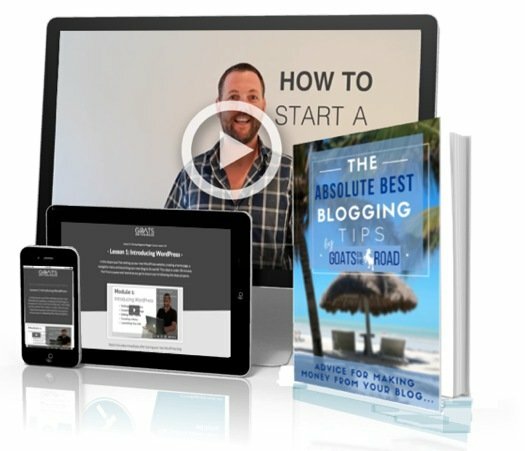 This will help your blog to earn money, while not appearing too “advertisy” to your readers. If you’ve written a post that’s great for your “Indonesia” section, but doesn’t necessarily have to appear on your home page, then you can click a box and hide it. You can choose to hide it on the front page, on category pages, in feeds, on author pages and more. It’s also great for creating one time sales pages or hidden content that you only want people to find if they click on a certain link on your site. Every website is prone to getting hacked at some time or another. Facebook has been hacked, Instagram has been hacked and even Google Drive has been hacked, so don’t think for a second that your WordPress blog is immune to viruses, malware and hackers. Our site was hacked earlier this year, but luckily we caught it early and updated our Wordfence Security plugin to prevent it from happening in the future. To combat the ongoing online crisis of hacking, you need to protect your site using a security plugin. Wordfence is powered by a constantly updated Threat Defense Feed and Web Application Firewall which helps to stop your site from getting hacked. If you’re reading this post and you don’t have any sort of Malware security plugin installed on your blog, you should stop reading this right now and go download one from the plugin directory. We use Wordfence and it seems to do the job (so far). As your blog starts to grow (and even beforehand sometimes) you’ll start noticing a bunch of spam comments appearing in your conversation feed on your blog posts. This kind of annoying spamming can never be completely avoided, but Akismet Anti-Spam helps to limit your spam comments to an absolute minimum. The plugin can be free if you “name your price” at $0 and all you have to do is install it, add your Akismet.com API key and it will clean up your site from unwanted spam. To date, this plugin has cleaned our Goats On The Road blog of over 500,000 spam comments! That’s a lot of time saved and outgoing links blocked by simply running this plugin in the background. I have no idea why WordPress doesn’t have a built-in spell check and grammar check in the edit post dashboard, but until they do, the TinyMCE Spell Check plugin is an absolute must for travel bloggers. I’m not saying that it catches everything. If you’re a long-time reader of this blog, you’ve still probably seen a few grammatical errors and spelling errors, but this plugin easily cleans up 90% of your incorrect English. Your readers will expect you to be somewhat professional in your blog posts, and if they’re forced to read through a slew of mistakes, then you’ll immediately lose credibility and they’ll likely click away to another website. The TinyMCE Spell Check adds a little ABC icon to the WordPress Edit Post screen and when you click it, it will underline all of your spelling errors. It also checks for grammatical mistakes and it will offer suggestions if there are multiple ways a certain sentence or phrase can be written. A caching plugin is vital to ensure that your website is running as fast as possible. But what is caching? Basically, web browsers like Google Chrome and Safari actually save data from websites that users visit frequently. So if you visit Goats On The Road, your browser will cache (or save) some of our images, website layout and videos so that the next time you visit, you don’t have to wait for your internet to load the content, it will already be cached in your browser. To ensure that your website is caching your content and serving it to web browsers around the world, you need to have a good caching plugin. W3 Total Cache has long been one of the most recommended caching plugins for WordPress and it’s pretty easy to install and implement. There are 16 pages of settings for this plugin, but you don’t really have to tinker with any of these settings. The plugin will optimize itself for your site and you can pretty much let it run right out of the box. The below plugins are not essential, but could add a lot to your travel blog and give it a good boost in speed, traffic and conversions. They’re all free except for OptinMonster and have been approved by our developer and SEO team. P3 Plugin Profiler: The more plugins you have on your site, the more you can potentially slow it down. The P3 Plugin Profiler plugin analyzes your site and checks for errors and analyzes MySQL queries as well as speed and compatibility issues between plugins. The plugin hasn’t been updated in 3 years, but still works with most themes and is secure. WP Smushit: This plugin will compress your photos automatically on upload. 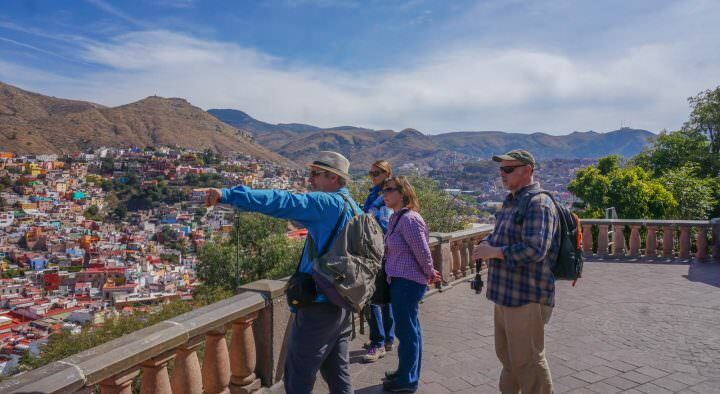 Photos are likely one of the biggest slowing factors of any travel blog. With WPsmushit, not only can you auto-compress images on upload, but you can also batch compress previously uploaded photos saving up to 70% of the space and not losing out on visible image quality. jQuery Pin It Button: Everyone is gung-ho over Pinterest these days and for good reason. 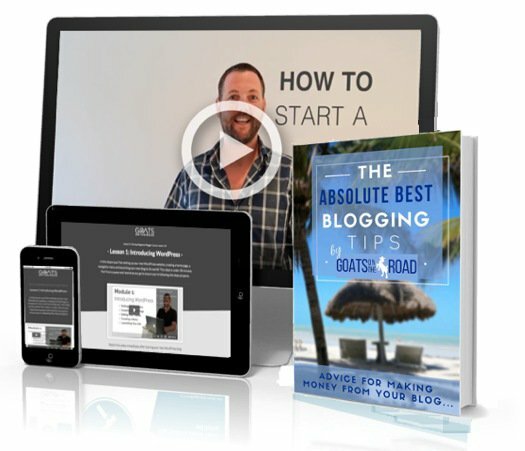 It drives huge traffic to travel blogs if implemented correctly. This plugin is an easy, one-click solution to give your site a big Pinterest boost. It simply ads a hover-over Pin It button to any image on the site making it easier for your readers to share your content to their boards. You can even use alt tags and size restrictions to narrow down which images have the button and which do not. StopBadBots: If your site is growing and you’re finding that you have a lot of downtime due to overusage, there’s a good chance it’s mostly because of bad bots crawling your site. There are two things you can do. Pay your host a bunch more money to upgrade CPU and RAM, or, add a bunch of code to your .htaccess file in order to block the bots. StopBadBots plugin does the latter for you and updates the code as new bad bots appear on the web. Evergreen Timer: This is a great timer to increase sales and conversions on your blog. I’ve literally tried pretty much every timer plugin and online HTML coding option there is, and Evergreen Timer is free, intuitive and very effective. Selling products? Add a timer to increase urgency. Have a special offer with Affiliates? Use a timer to boost conversions. The term “evergreen” refers to a timer that expires for an individual user based on a cookie placed in their browser. This means you can target individual users on your site and give expiring offers specifically for them. The plugin also allows for regular timers for those flash sales and expiring deals. Note: This plugin hasn’t been updated in a few WP releases and has only average ratings in the plugin library. Most complaints have to do with compatibility, so test it with your theme and see how it goes. OptinMonster: Okay this one isn’t free, it’s $9.99 per month to start, which may seem like a lot, but OptinMonster is the best WordPress solution for fast-loading pop-ups and lead generation technology. If you’re not already capturing emails with your travel blog and starting an email conversation with your followers, you’re missing out big time. This plugin makes it easy to implement stylish plugins that won’t slow down your site. I’ve gone through a half dozen popup plugins and am moving to OptinMonster because it’s the best. Note: We’re currently using Pop-up Maker plugin on this blog for pop-ups and don’t recommend it. It slows load speed, loads on-page so sometimes the content of the popups show up in Google meta results and it’s frustrating to track. We are currently switching over to OptinMonster. There are new plugins being added to the WordPress directory every day, so surely there are many new plugins that I haven’t included in this list. What plugins do you find the most useful? Please share in the comments below and tell us why they’re so indispensable! Thank you for putting together some really useful plugins list. I have installed editorial calendar, shortcodes (though I need to figure it out), and wp hide post. Thanks again. This is great, and perfectly timed, I’m just in the process of transferring to WordPress! Thanks for all the radness! Thanks so much for this! So very helpful! Quick question – I am not seeing a free option for Akismet. I have tried to install it or get an API key a number of times and keep getting sent to a screen with different payment options (Name your price / $59 per year / $550 per year). Are you just naming a price of $0 or is there something I’m doing wrong? Sorry for the confusion. When we set it up, there was a free and paid version. Now they request that you name a price. Name $0 and see if that works. You shouldn’t have to pay at first anyways. It’s always had a free trial as many plugins do. Thanks so much, Nick! I named a $0 price for now, but it does look like I will have to upgrade once my site gets to the point that I have any advertising, affiliate links, or any business-related posts. At the moment, though, I’m protected, and I will certainly reevaluate when the time comes and my blog becomes income-generating! Thanks again for your help and all of your invaluable info! I’m already using several of these and absolutely vouch for this information. Especially Yoast and Askimet. Wow, what a list! Thank you, Nick, for sharing. There are quite a few of these plug-ins I’ve never heard of before. A query on Yoast though, if you change to Yoast, do you have to update all of your old blog posts, or does it do it automatically? And for Smush, though the batch smushing was great, I found using it on a regular basis slowed down things a lot on my blog and I ended up using Tinypng to compress photos. Thanks again for this list! These are great! I use Google maps, but will definitely check out HTMLS maps. Also, need a spell check! Grammarly works everywhere except within my posts. I have Thrive Themes blog builder within WordPress. I am just starting out, so this has been very helpful. I will also look into SEO smart links. Great post! Thanks, I just downloaded Smushit and I’m looking forward to trying it out. Cheers Nick! This is a really useful post with a few plugins I wasn’t aware of. Particularly SEO Smart Links. Thanks for bringing it my attention. You’re welcome! Happy you found the article useful. Such a great list! We find so much of your content to be useful and valuable. Thank you, thank you!! Happy Tuesday, I downloaded the YOASTSEO plug in. However my plan in wordpress is just premium and not Business. It says I have to have a business plan to use the plug in. Is that true? I have searching good plugins and come on your page. It is the very good list. Spell check plugins has on WordPress site. But I get it some error and hank. Really enjoyed your post, Nick! I just started a travel niche blog and looking for the essential plugins for my brand new site and thank god I found your article. I have installed all mentioned necessary plugins to the site. Kudos to you! 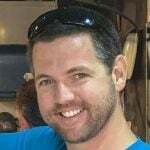 I started my travel website about a year ago. I still have much to learn. If you get a chance, could you take a look at my website and give me some input. Nick, this site is always such a great read and resource. Keep it up, you’re both nailing it. Thanks so much, we appreciate the feedback Cheers! Overall a great list of recommendations. For me, the editorial calendar is a must have. I would only advise that too many plugins might slow down the website. I’d only install the essential ones. SEO Smart Links is a great suggestion. But I wonder if it is specific to only travel blogs or suitable for all? I want to insert the country plugin.please suggest me the plugin for that. I bought the Interactive Maps Plugin (it cost me $22 by the way) and installed the Yoast SEO. I’m very intersted in the SEO smart links but, sadly, it is not avaible for the lastest WP versions. Do you know any good alternative?